If you have cracked and dry heels, one of the main reasons is barefoot walking especially during the winter time and wearing a shoe with an open back, like a flip flop. Therefore, wearing shoes that protect your skin is highly recommended. 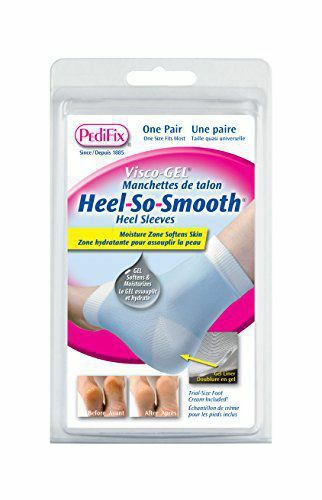 Also, at our office we offer a wonderful cream with a sock called “Heel So Smooth.” This heel sleeve has mineral oil to repair damaged skin; in addition, for better results you’ll need to wear the cream provided approximately 3 nights per week for a couple of weeks. You will no longer have to go for pedicures at your salon to help this condition! Also, at Family Foot & Ankle Specialists, one of our podiatrists can smooth your calluses down and get you started on a treatment plan. This is absolutely painless and your dry skin will be healed and smooth just in time for the Spring season! Call one of our podiatrists to make your “HeelSoSmooth” today!